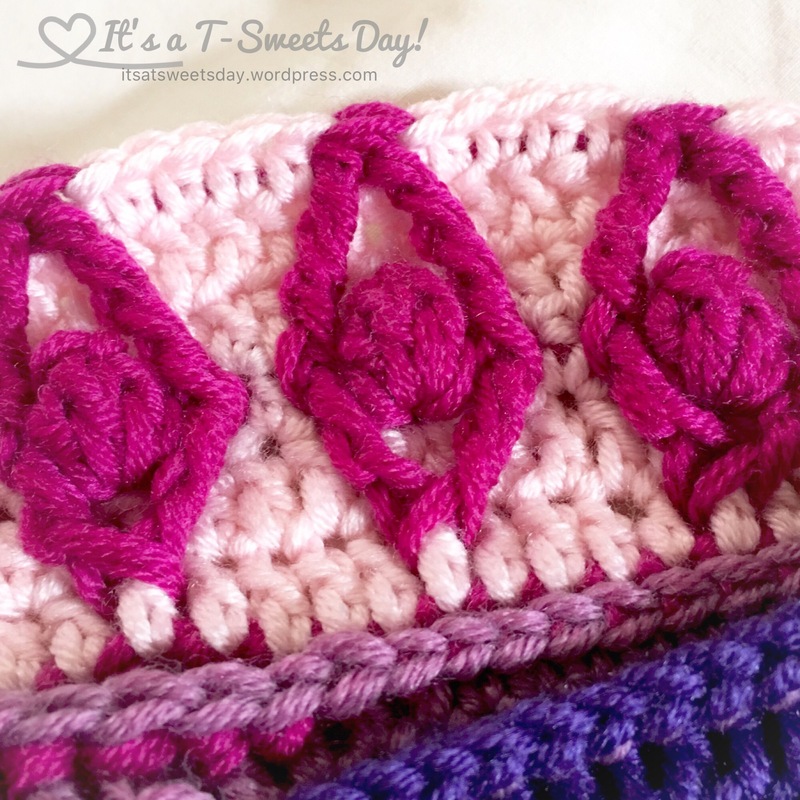 Mandala Madness Parts 8-10 / How to weave in the crochet ends – It's a T-Sweets day! 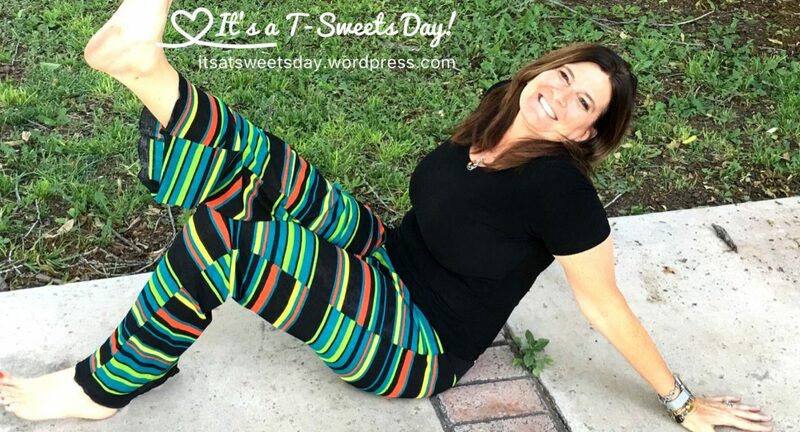 Published on August 26, 2016 August 28, 2016 by Tracy @ It's a T-Sweets Day! These three rounds have been much slower and quite a bit more tricky than the previous rounds. Margareta from “At Margareta’s Haus” challenged me to get through round 10 this week. And let me tell you what, it has been an adventure in time management to be sure! It was a little confusing at the beginning of part 10, but after I figured it out, it really wasn’t hard. 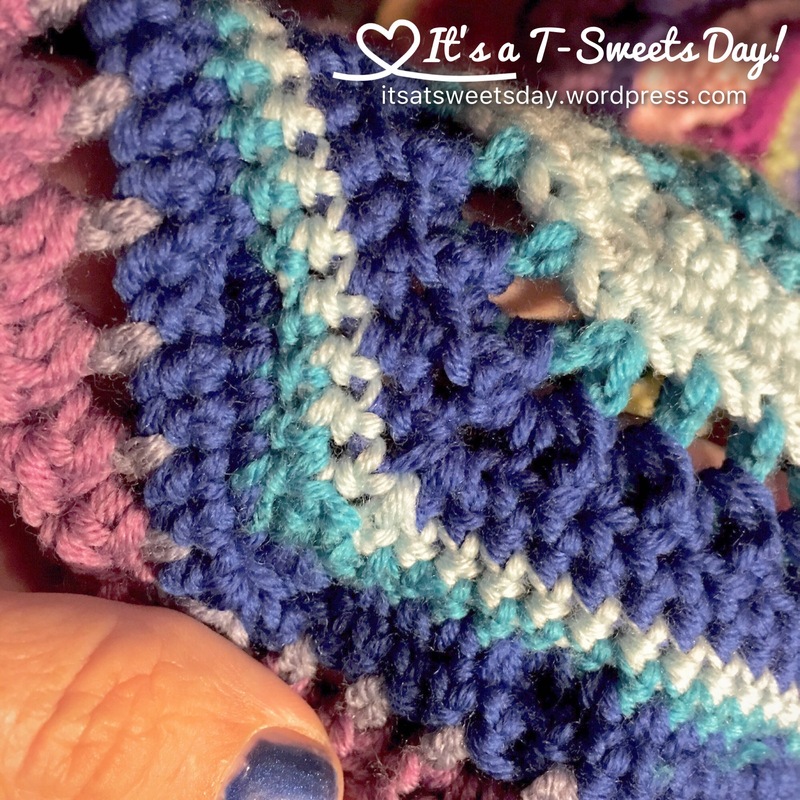 It just took time changing thread with literally every stitch! I took some time to weave in the ends. 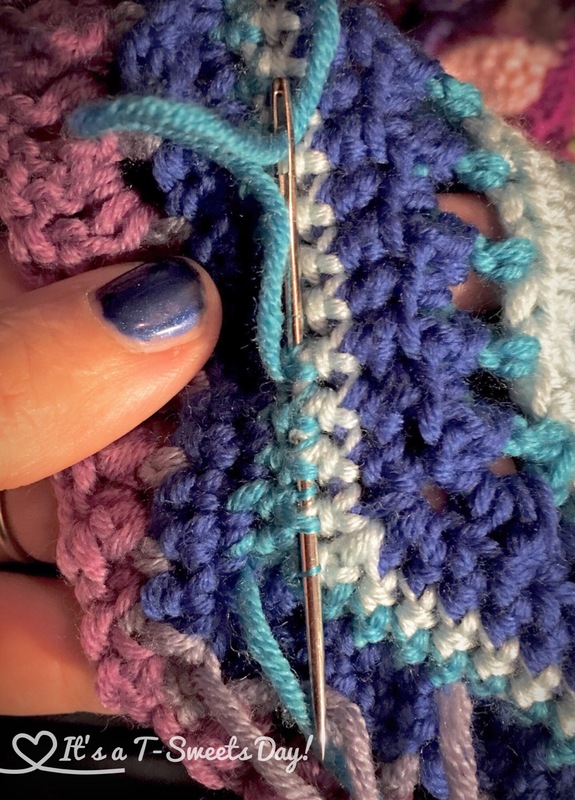 I know that some people like to crochet in their ends as they go, but I prefer to take my large needle, sit down and really weave them in. I feel that it is the most secure that way. I really don’t mind the added step. I just spend a little bit of time enjoying the back side of my project:). 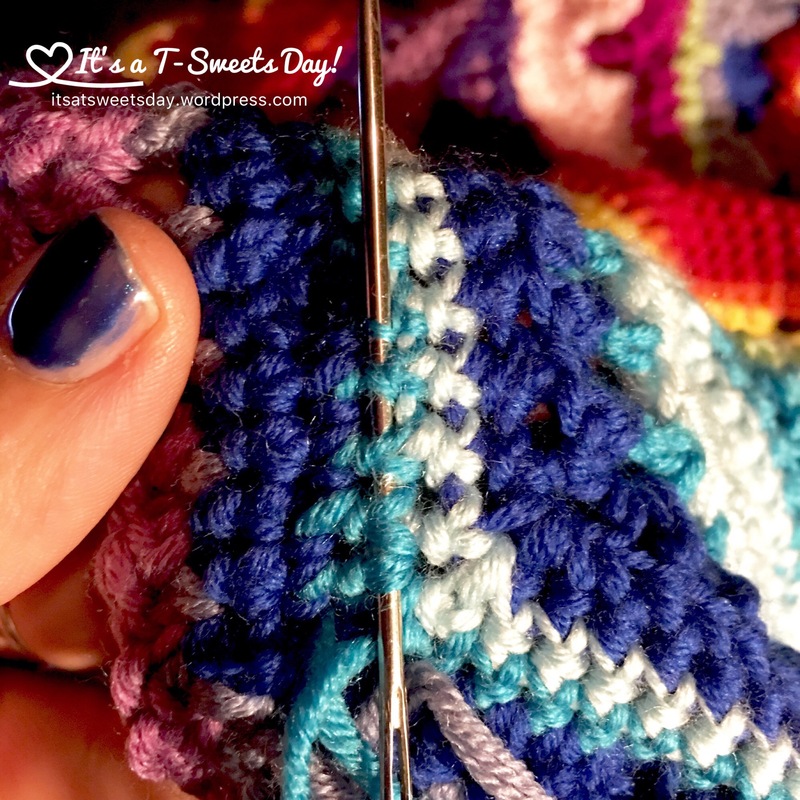 I always leave about 8″ of yarn when I finish with a color while crocheting. This leaves plenty of yarn to thread in my needle and sew with. 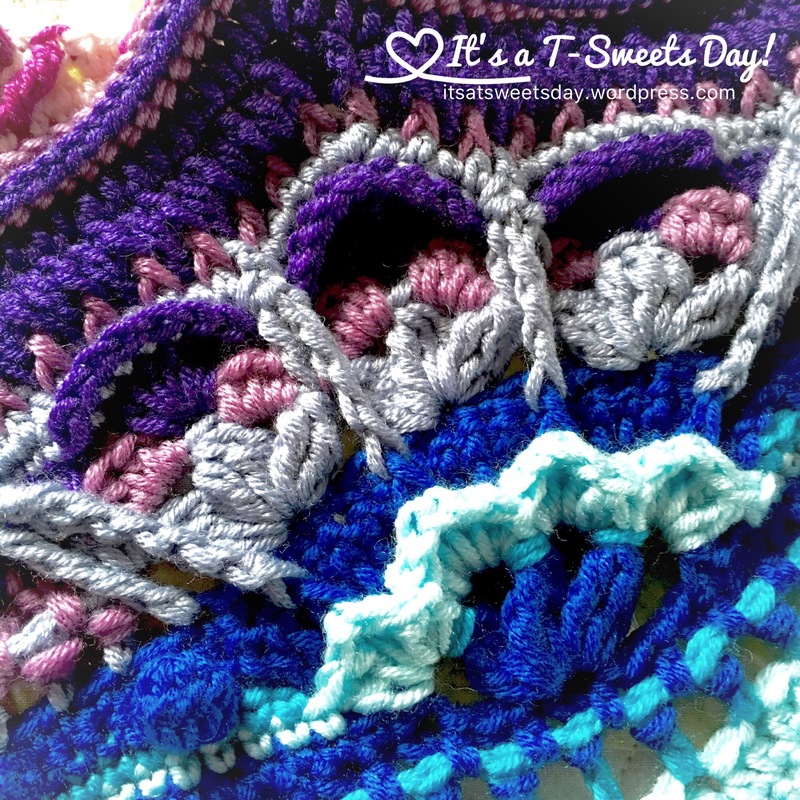 I thread and then weave the yarn into the matching color one way and then back on itself the other way. I do this at least two times maybe three. I trim the yarn close to the stitching. Because it is weaved multiple times, I do not have to worry about it unraveling. It finishes up so nicely without any knots so it is nice and flat and soft:). I am going on a small road trip next week to see my son and daughter in law up in Idaho for a few days. 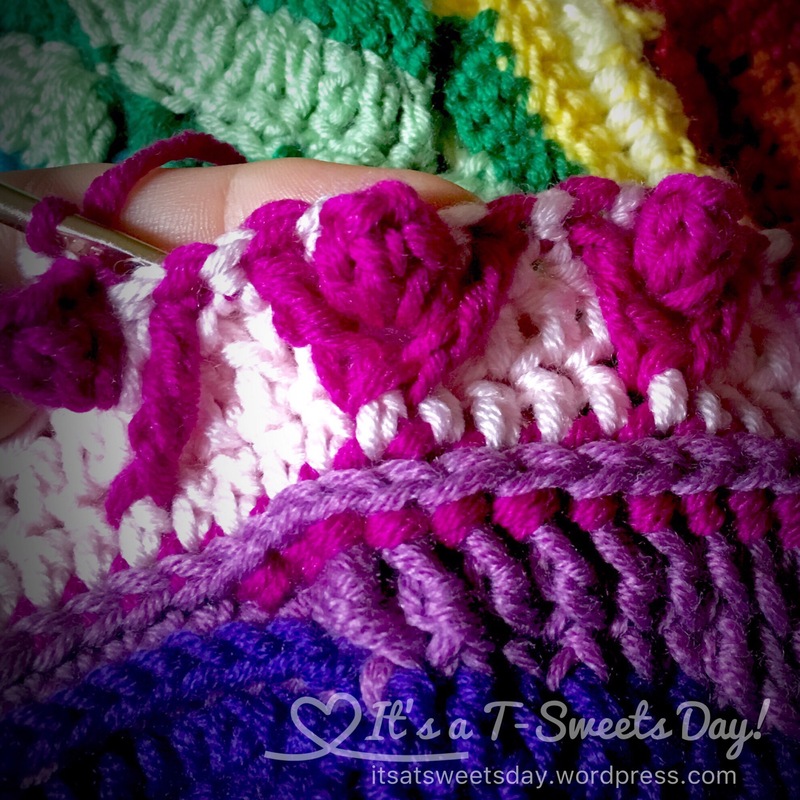 I am sure I will be doing a bit of crochet along the way. What’s a road trip without sewing, right? I’m looking forward to posting about some of the delicious peaches I plan to buy on our way home. SWEET!! Great job Tracy! It was a real challenge for sure. 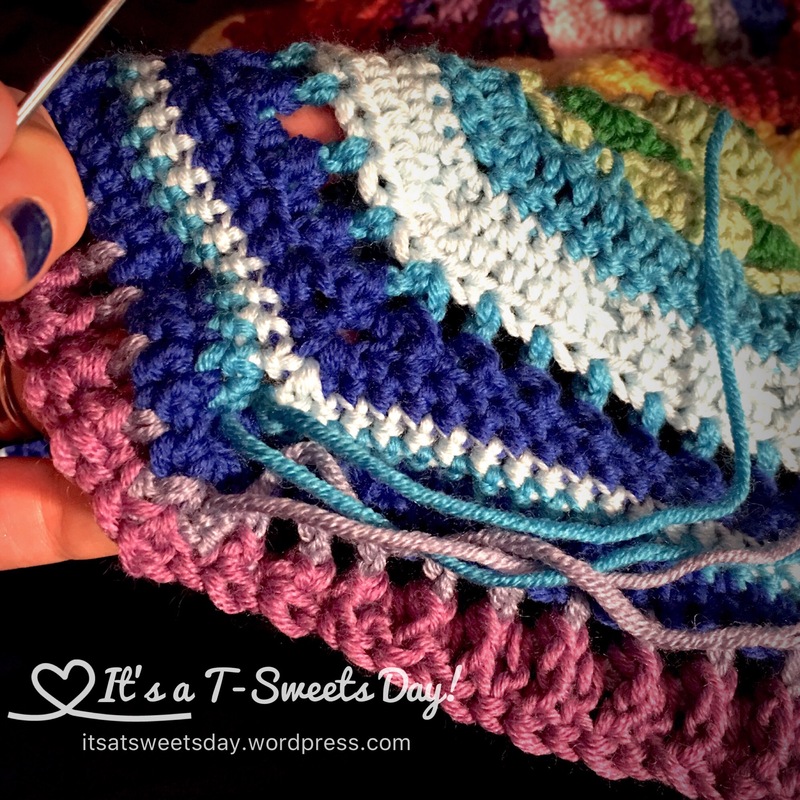 I am actually sitting on the couch finishing up the last 2 rows of part 10. Enjoy your trip! Enjoy Idaho, and those peaches…stopping in Palisade, maybe, on your way south. Hi Kathy! Thank you for the recommendation:). I will definitely look it up. We were planning on Willard. Which do you think is better? We are very biased toward Talbott Farms in Palisade. My husband went to college with Charlie and his brother. They are great people, and their peaches are always first rate. If you stop in, some days they have boxes that are too ripe for trucking out, and they sell them for $10/ box, and you still have some days to process before you are in trouble. We had those last year, and they were wonderful. Yea!!! I will DEFINITELY check it out;). Thank you so much! 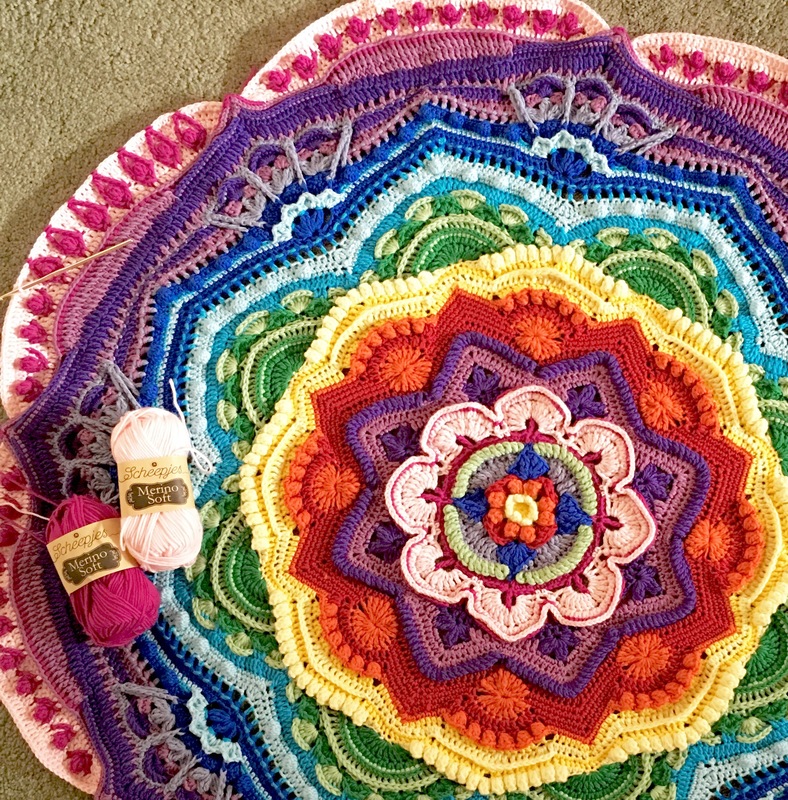 I love the colors in your Mandala! Great job!